Every day your body endures stresses and strains (emotional/physical) that it must work to compensate for in order to maintain homeostasis. Unfortunately, these stresses often cause body tissues to tighten and distort the craniosacral system (in the brain and spinal cord) which causes tension, pain and emotional imbalances especially during longer times of stress or sudden injury. This effects the central nervous system and potentially all other systems. Fortunately, such restrictions are observed and corrected using of the light touch of CranioSacral Therapy. As a CST practitioner, I use my hands to evaluate the craniosacral system by feeling for the subtle rhythm of the cerebrospinal fluid (CSF) around the brain and spinal cord. Then I used gentle techniques to help release restrictions in the tissues influencing the craniosacral rhythm. This allows the body’s CSF rhythm to normalize and enhances the body to self-correct. 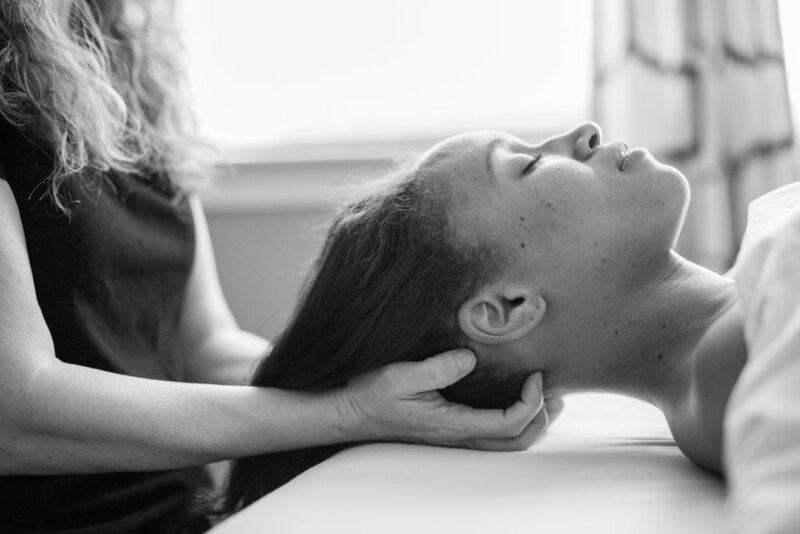 CranioSacral Therapy helps alleviate many dysfunctions and offers deep relaxation to the recipient. Please contact me with any questions or to schedule your next visit.